All you need to know about Dublin and what the city offers to the visitors is on this page. 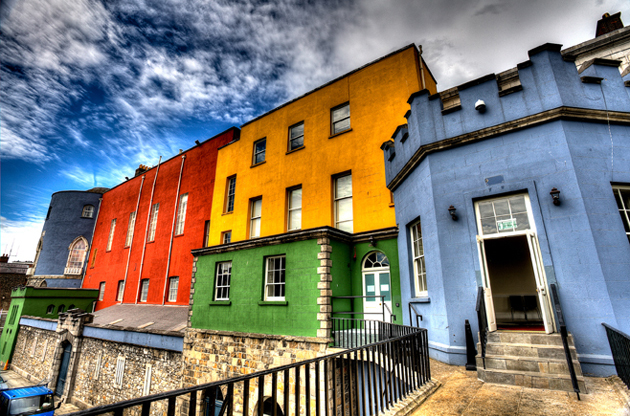 Get ready to discover Dublin first by reading about it on eventegg. One of the greatest writers of all time, James Joyce once said, ‘When I die, Dublin will be written in my heart.’ Well, the Irish author had a point in what he said. It was years ago when he mentioned his love for this epic city however the power of it is still valid. Even the visitors cannot help putting Dublin in the core of their hearts once they have been lucky enough to wander in the town of the hurdled ford. Used to be a Viking settlement, the capital of Ireland, Dublin is now home to a population of almost 530.000. For a long time now, it has been among the top travel destinations of many travelers. The language, commitment to nationality while embracing cultural differences, its cuisine and attractions shape up the city’s history while making it one of a kind. Although it is the most densely populated city of Ireland, as majority of the inhabitants prefer to live in the suburbs, Dublin is far away from being a capital that is filled with chaos and hustle. With the contribution of the helpful and nice attitude of the locals, Dublin becomes one of the most convenient cities to live in. Dublin is one of the City of Literature, chosen by UNESCO. When we have look at all the names that has contributed to world’s literature scene, it is not hard to understand why. Nobel Prize winners William Butler Yeats, George Bernard Shaw and Samuel Beckett are only the 3 names on the list. Oscar Wild and James Joyce are also among the famous Irish authors to whom the literature today owes a lot. The city is also one of the most attractive cities in the world when the sights to see and landmarks, museums and parks are taken into account. With the abundant number of Irish pubs, the buildings that reflect the culture and history, Dublin will always stay in your heart. Therefore, let the soul of the city embrace you while you are there. Enjoy your time as a true Dubliner, spend time in pubs, try to pick up some words in Irish, eat the most delicious examples of the everyday Irish cuisine, accompanied by the tastiest whiskey or stout. Let your time in Dublin to be an era of in your life, not just a touristic trip. Dublin is located at the mouth of the River Liffey, in Ireland. International Dublin Airport is near Swords, built on a rural area. It is 10 km from Dublin city center. Official website of International Dublin Airport gives detailed information about the transportation to/from the airport. How to get around in Dublin? Probably the local transportation in Dublin may be listed as the only minus about the city. It is not possible to say that it is highly efficient and covers most parts of the city. However, Dublin is an easy city to discover on foot. Luas (the light train / tram) and DART (suburban rail system) are still considered to be the best ways of transportation in Dublin. Transport for Ireland provides the necessary information on the routes, maps and schedules. Dublin has got a unique style in offering a lot of things to its visitors. Yes there are a lot of sights to see, museums to go, restaurants to have dinner and places to shop. However, this beautiful city has got such an attractive aura that even if you don’t do anything in particular, your time will not be wasted. Still, if would like to get lost in the excitement of exploring, here are some ideas. National Museum of Archaeology and History and National Museum of Decorative Arts and History in Collins Barracks must be given priority if you would like to experience a total unique museum experience. St Patrick's Cathedral, Trinity College and Library and Dublin Castle constitutes the major sightseeing areas in Dublin and all of them deserves some of your time. If you are a bookworm or someone with a special interest in literature, there couldn’t be a city better than Dublin to visit. The city is included in UNESCO’s City of Literature list. There are many places to visit for a journey in the literature world. Book of Kells in Trinity College, Dublin Writers Museum, the James Joyce Centre and Marsh’s Library guarantees a special experience especially for those who came to Dublin with a bunch of books in their bags. The heart of shopping in Dublin beats at Grafton Street. It is a pedestrian street that is filled with elegant stores. Nassau Street is the home to traditional Ireland souvenirs, you can find almost anything you want from Ireland to take back with you. Market Arcade, also known as the Georges Street Arcade is where you should head if you are after vintage items. O'Connell Street and Henry Street are also 2 of the major shopping areas. You can find a lot of stores, standing side by side with stylish cafes and pubs. The Temple Bar area offers alternative shopping options for the ones who don’t want to be get stuck in the malls. Dublin has one of the liveliest night life scenes, including clubs and live music bars. However you may as well trying out pub-hopping and try out the local whiskey and stout if you don’t feel like getting into the loud music and dancing. North of the river has got a quitter night life. Temple Bar Area is going to be the first you’ll hear when you read the forums on the web however keep in mind, this is also the most famous area when it comes to tourist traps. Grafton Street and Georges Street have also got remarkable clubs and bars. Other areas that are filled up with pubs, clubs and bars are Stephen's Green, Wexford Street, Baggot Street Area. The city center in Dublin has got numerous options to dine, the type of cuisine and prices may vary greatly. However the south part of the center will meet your expectations on classic Irish cuisine. The charm of Dublin continues to fascinate the visitors outside the city as well. You might as well try going to one of the destinations nearby to get away from the city life and by the unique natural beauty, experience something close to magic. Fingal is a countryside town, where sandy beaches and greenest of trees hug each other. Dun Laoghaire – Rathdown is another destination if you are after watching the picturesque beauty of the seaside from the shore. South Dublin County also keeps on attracting a lot of people, both Dubliners and foreign visitors with its magnificent scenery. Dublin, the capital of Ireland, is attracting more and more event attendees every year thanks to the cities increasing success on hosting international congresses, conferences, symposiums, fairs, tradeshows and exhibitions. While being satisfied by the vey well equipped venues in the city during their meetings, the attendees also get the chance to discover this lyric city.